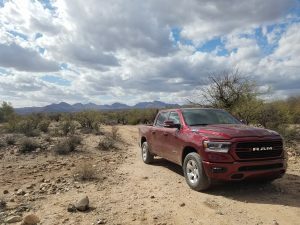 The message from David Elshoff, Head of RAM Truck Brand Communications, was loud and clear…the all new 2019 RAM 1500 is a “no compromise truck.” Touting an endless list of firsts, RAM set out to prove its vision of what a truck should be with a spirit of courage and leadership that was evident in every team member at the International First Drive Event in the Arizona desert. With three main directives the RAM design team focused on “function, storage and technology” consistently offered in six distinct price points. RAM is clearly out to capture the hearts of truck lovers worldwide. 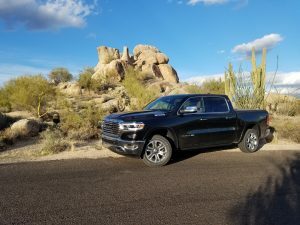 Then the buzz words began to soar, and the RAM message expanded to “durability, technology and efficiency.” Proving these claims would have 28 journalists stirring up sand, quietly driving through suburban streets, pushing the variable cylinder technology on the highway and powering through winding pavement and rock laden dirt roads. 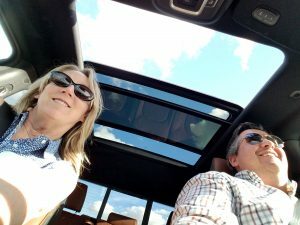 Bryan Grant with New Car Spin and I explore the exciting new features in the 2019 RAM 1500 Laramie LoneStar. 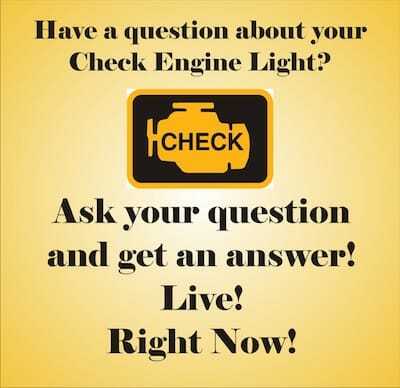 Every brand finds ways to enhance their designs with new logo treatments, flip backs to retro logo treatments and embellishments in everything from black outs to chrome. RAM has these in the form of a chiseled Ram’s head logo, R.A.M. grills, and a vivid, eye height logo on the hood. 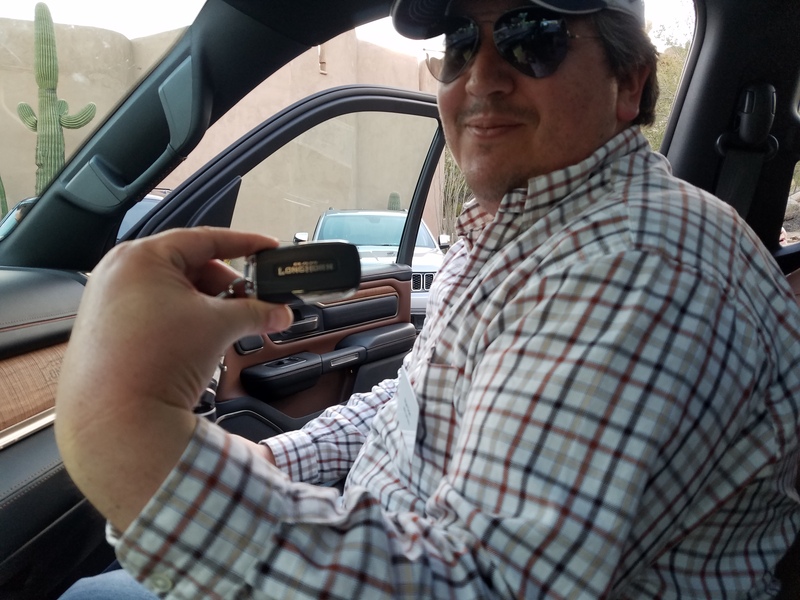 While stylish, that is not what endears a pickup truck to its owner, at least not to this driver. 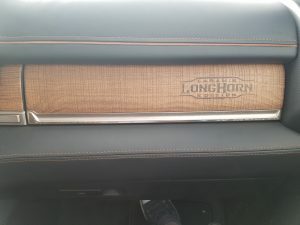 Instead, consider the RAM design’s team decision to hide sensors and cameras to protect the appearance of the new 2019 RAM 1500 on both front and rear, the leveling of the belt line so that the window height lines up with the bed creating a smooth line from the front of the cab all the way to the end of the bed, the complimenting body lines running through the large door footprint and the subtle aerodynamic changes to the top of the cab and hood that do so much more than look nice. 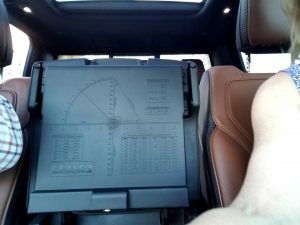 The RAM design team used an “unbreakable” interlocking theme to integrate “technology” and “efficiency” without compromising their clean design concepts. Notably there are specific design details distinguishing each trim model and price class. 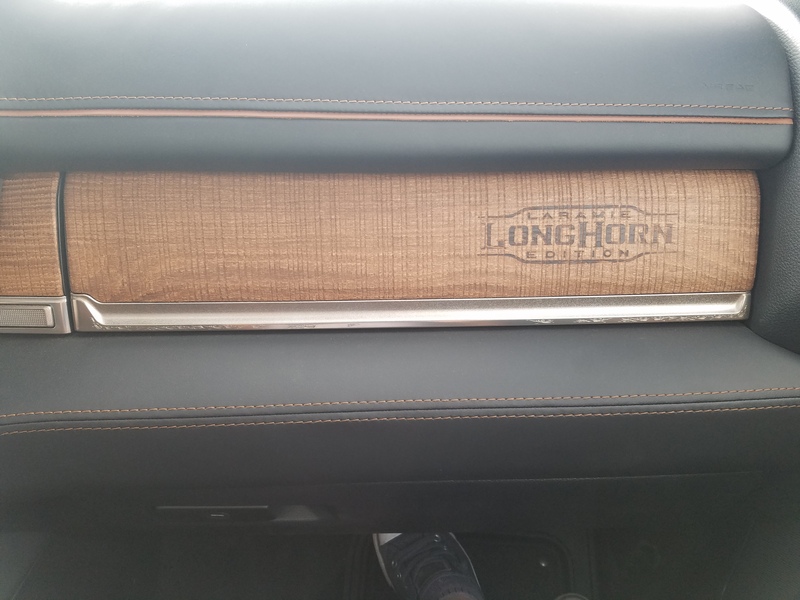 This carries through to the interior and electronic technology with matching fonts that show up everywhere including inside the Uconnect infotainment system. Dang…so tempted to start exploring the dynamic 12” screen that splits and acts an extension of your phone through Apple Iplay, exhibits high resolution graphics clearly, and even responds to voice prompts more smoothly that most infotainment systems. Let’s calm my ADD and wait a bit to talk more about that. Yes, that means there is much, much more to come! 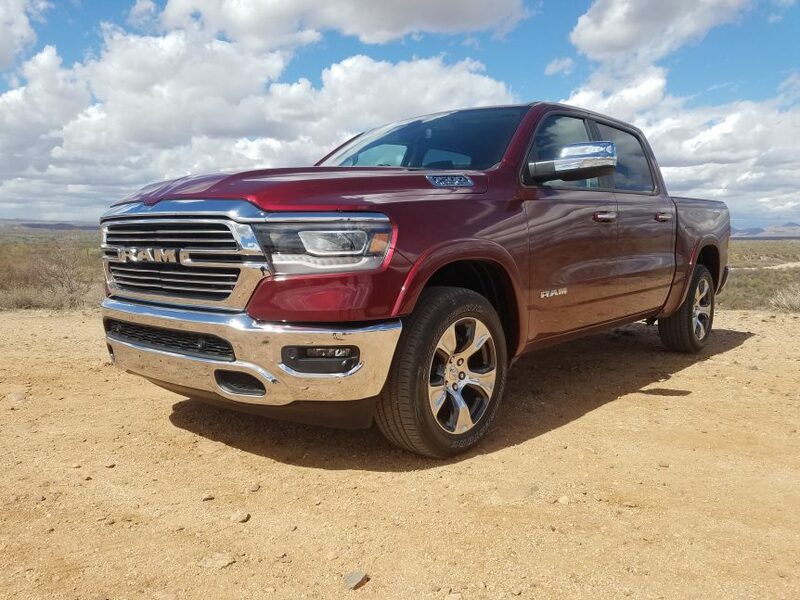 The all new 2019 RAM 1500 has so many features, engineering highlights and details! It is going to take quite a few more posts to adequately cover them.